"What we as a civil society movement demand is change, not charity"
How does the Access Campaign work? The Access Campaign is part of Médecins Sans Frontières (MSF), an international, independent, medical humanitarian organisation. Our work is rooted in MSF’s medical operations and supports people in our projects and beyond. adapted to the places where they live. Every day, MSF teams are frustrated by the lack of good medical tools available to them and the people they treat. For instance, think of a doctor working in a mobile clinic who can’t diagnose the cause of a fever, because the tests require a fully equipped lab for accurate results. Most vaccines must be kept at 2-8°C (35-46°F), or they will spoil. 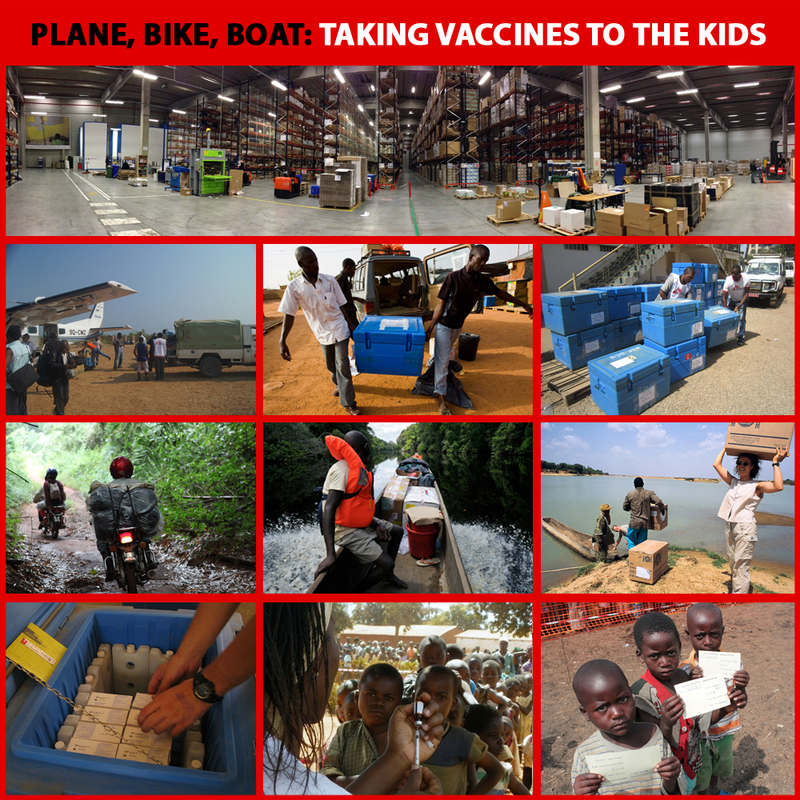 Storing, transporting and administering them in conditions where MSF works are some of our biggest logistical challenges. Or consider the father who has to choose between selling his home and getting the lifesaving hepatitis C treatment he needs. And imagine a logistician struggling to keep vaccines cool and effective in blistering temperatures, without electricity for refrigeration. People get sick and die needlessly because of these obstacles and others like them. So, our teams tell us which tools they’re missing. We respond by analysing the gaps and looking for solutions. The results bring benefits to the people we treat and lead to better care for people beyond our projects. That’s because, in addition to solving specific problems, we aim to transform the way medical innovation, access and pricing work so we don’t face these challenges in the future. We act as a catalyst for new approaches to medical research and development that puts patient needs first. For example, we helped found the Drugs for Neglected Diseases Initiative (DNDi). By reshaping the system, we create long-lasting pathways for delivering better, more affordable medical tools to the people we care for — and others besides. MSF launched the Access Campaign in 1999, the same year we received the Nobel Peace Prize. It happened at a pivotal moment in global health. Starting in the mid-1990s, in wealthy countries, HIV treatment with new, effective drugs called antiretrovirals produced dramatic results. The AIDS death rate fell sharply and steadily in those places. The full transcript of the speech can be found on the official MSF Nobel Peace Prize page. But in developing countries, the high prices charged by pharmaceutical companies for antiretrovirals kept them out of reach for most people living with the virus. The number of AIDS deaths there kept rising until patients and health care advocates mobilised to generate political pressure. This led to dramatic drops in the price of HIV medicines, allowing millions to receive lifesaving treatment. The lesson was clear: if the best medicines and tests were available to people everywhere, not just in wealthy countries, many more lives could be saved. In the years since, in response to the needs of our teams, we have expanded our work to include tuberculosis, sleeping sickness, malaria, vaccines, drug-resistant infections and more. Along the way, we’ve contributed by putting these problems on the political agenda, and delivered benefits to the people we care for by lowering drug prices, expanding treatment options and working to ensure medicines are adapted to the conditions where we work. 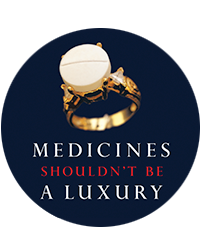 Around the time that MSF established the Access Campaign, we also used our Nobel Peace Prize proceeds towards developing treatments for diseases ignored by pharmaceutical corporations. This was a significant step in our effort to align drug development more closely with patient needs. By doing things differently, we aim to deliver medical tools that are more affordable, innovative and effective in the places where we work. Today, the Drugs for Neglected Diseases initiative (DNDi) is a collaborative, patient-centred, non-profit that has achieved significant progress in its short life. DNDi has already delivered seven new treatments for malaria, sleeping sickness, Chagas disease and paediatric HIV/TB coinfection, among other diseases. One of its antimalarial drug combinations, ASAQ, has reached over 500 million people. DNDi has proved to be an effective catalyst for new approaches to patient-centred drug development and access. This is one example of how we promote change and creative thinking in medical R&D. MSF does not accept donations from corporations whose income come from the production and/or sale of tobacco, alcohol, arms, pharmaceuticals, and/or mineral, oil, gas or other extractive industries. MSF does not accept in-kind donations of medical products or health technology. Under exceptional circumstances, and on a case-by-case basis, MSF may consider accepting such donations according to the criteria and conditions set forth in this policy. The Access Campaign is an international project within MSF. The Campaign supports MSF’s work by advocating for improved access to treatment and the development of better medicines. MSF publishes its financial statements in the interest of transparency and accountability. We do not accept funds from governments or other parties who are directly involved in the conflicts to which MSF is responding, or donations from pharmaceutical companies. The majority of our funding comes through the generosity of private individuals.